It is very important that the children establish good habits of punctuality and school attendance. Parents are asked to contact the school on the first day of an absence and then to confirm in writing the reason for a child being absent. Parents are urged wherever possible to take their family holidays in the school holiday periods as any interruption to the children’s schooling affects their education. Children in Years 2 and 6 have National Assessments during May and should not be kept away from school unless they are unwell. We are required to report to the local authority cases of unauthorised absence or unexplained lateness. In certain extreme cases legal action may have to be taken. At the school we have a Welfare and Attendance Officer who works closely with Mrs Prentice, Mrs Daly (our school Pastoral Lead) and school staff to identify families and students who may need support to achieve good attendance. We work with families and students and offer them guidance to help them raise their attendance. The Welfare Officer can offer confidential home visits to further support and problem solve. Their role, together with the school is to support you and ensure your child achieves good attendance, which in turn will help them achieve their full potential. Good attendance is so important for good attainment. We have an attendance policy that sets out how we promote good attendance, which is listed below. My name is Natalie Black and I am the Attendance and Welfare Officer for St Marychurch C of E Primary school. My role in school is to monitor attendance to make sure that all children are in school as much as possible. Good attendance to school from the youngest age ensures positive outcomes for children in their learning and friendships. Where possible we expect all children to attend school on time every day to maximise their learning. Don’t worry if you receive a letter from me – as part of my monitoring I look at every child’s attendance in school. You might be asked to come in for an informal chat to discuss your child’s attendance, where I will be available to offer support and advice. Please don’t hesitate to contact me if you have questions about your own child’s attendance. The attendance policy for St Marychurch C of E Primary school can be found on the school website – this goes into more detail about the schools expectations and government guidelines. 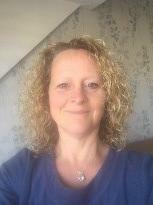 My name is Louise Loram and I’m your friendly Family Support Worker from South West Family Values. I know being a parent is the hardest job of all, so from time to time we all need a little support and a listening ear. I pride myself with being friendly, approachable, empathetic, non-judgemental and a good listener - I’m also a parent myself! I can support you and your family in a number of ways through home visits, appointments in school or 1-1 sessions with your child, together we can find solutions to meet the needs of your family. Because I’ve worked across Torbay as a Family Support Worker for a number of years, I have experience with all age ranged children and have contacts within lots of local agencies across Torbay that I can signpost you to if this is required. I tend to support families over a 12-week period, however this can be flexible depending on the support required. School, Family Fun & Food) which they will be invited to once I start supporting them.